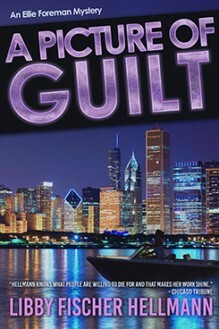 Finalist, Best Novel, Chicago Writers Association. 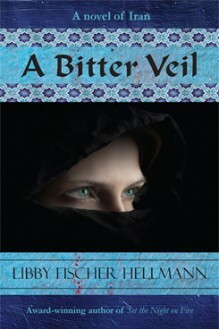 In Chicago Anna falls in love, marries Nouri, and moves to Tehran. Four months later the shah is deposed. Ellie discovers video outtakes of a man near Lake Michigan that were recorded the same night he supposedly murdered his girlfriend 10 miles away. Ellie chats with a young woman at a highway rest stop. A pickup pulls up, the rear window opens, and the woman is shot dead. 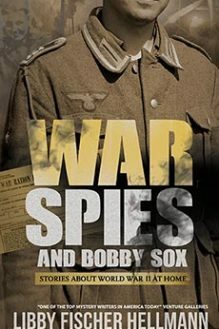 Meet video producer Ellie Foreman, her daughter, and her father, as Ellie is drawn into a murder rooted in World War Two. PI Georgia Davis and Ellie Foreman team up after the kidnapping of a young girl triggers a series of deadly events. Chicago PI Georgia Davis is hired to hunt down those ultimately responsible for the assassination of Resistance leader Dena Baldwin at a demonstration fourteen months after the 2016 election. As Georgia sifts through Dena’s 42,000 Facebook followers, she discovers that unknown enemies hiding behind fake profiles have infiltrated the group. 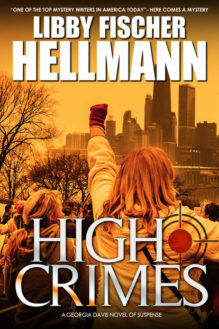 Chicago video producer Ellie Foreman has been absent from thriller author Libby Fischer Hellmann’s repertoire for almost a decade. Now she’s back...and soon entangled in a web of espionage, murder and suspicion that threatens to destroy what she holds most dear. Un thriller en gran parte ambientado en Cuba, que se extiende por tres generaciones de la misma familia. 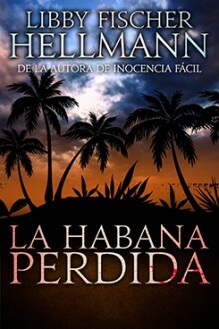 LA HABANA PERDIDA es la décima novela de la autora galardonada Libby Fischer Hellmann y el tercer thriller que explora cómo la lucha y la revolución afectan el espíritu humano. LA HABANA PERDIDA es un testimonio de la habilidad de Hellmann para retratar los auténticos detalles históricos, así como su talento para escribir novelas de suspenso que llevan a la lectura compulsiva. The first four novels in the series that critics describe as "a masterful blend of politics, history, and suspense." 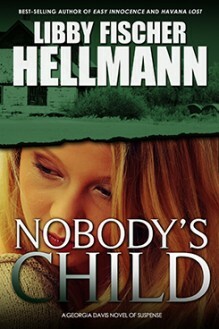 Ellie Foreman is a Chicago documentary producer and amateur sleuth. She has a finely-honed sense of justice, which sometimes lands her in dangerous situations. Her dry sense of humor lightens the mood, but make no mistake: these are suspense thrillers rather than cozies. 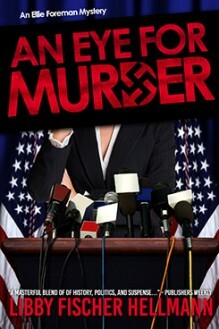 Which might be why the author describes the series as a cross between "Desperate Housewives" and "24." When you find yourself staying up way too late reading, you'll see why the Ellie Foreman series fits into Hellmann's body of "Compulsively Readable Thrillers." All three Georgia Davis mysteries, together in one volume at a very affordable price. PI Georgia Davis burst on the scene in Libby Fischer Hellmann's EASY INNOCENCE (2008). That was followed in 2009 by DOUBLEBACK, which reunited Georgia with Ellie Foreman. TOXICITY, the prequel to the series was released in 2011. 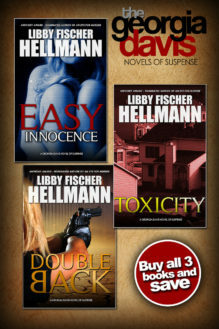 Now all three are together in one volume at a very affordable price. Ten years before Easy Innocence, three bodies turn up in quick succession—all of them dumped in waste disposal dumpsters or landfills. 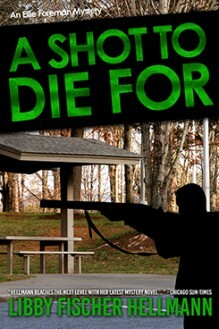 Officer Georgia Davis, her boyfriend detective, and his partner team up and find much more than they bargained for. Save 50% on the Ebook! "HIGH CRIMES is the P.I. 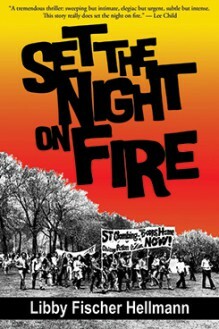 novel for our moment, not just because of its backdrop of political tension, but because of the resilient strength of its characters. Georgia Davis is a terrific lead, and Libby Fischer Hellmann calls on her own journalism background to add layers of realism to this all-too plausible plot." 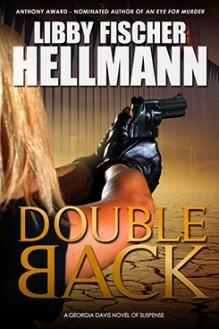 "In this ripped from the headlines and rocket-paced thriller, Libby Fischer Hellmann is at the top of her game. You won't stop turning the pages, gripped by every twist and turn. 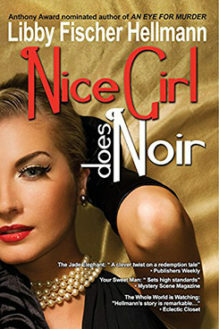 And the tough, smart Georgia Davis is sure to take her place among the top female PIs in crime fiction." "Entertaining...(Georgia is) a shrewd investigator... for readers who watch the nightly news with dismay, the novel offers a satisfying alternate reality." Featured pages highlights events, appearances, crime writing workshops I run and other topics you will find interesting. Libby has developed several interactive workshops on the craft of writing as well as how to publish and promote. Libby is often invited to deliver keynote presentations at events and conferences—she enjoys helping others tell their stories and hopes her audiences enjoy hers. Libby’s streaming internet TV show SOLVED! is an interview show with well-known and upcoming thriller and mystery authors produced by Author’s Voice, a division of the Abraham Lincoln Bookshop in Chicago. Watch episodes of SOLVED! 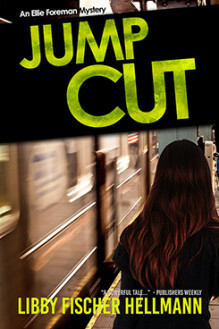 featuring Sara Paretsky, William Kent Krueger, Jeffery Deaver, and many more. 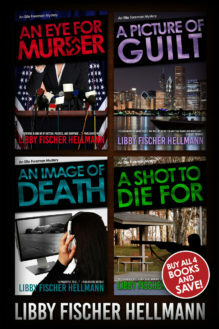 Places to find Libby in the coming months for speaking, interviews and book signings. The latest articles from my blog. Just click on the title to read the full post.